American Wholesale Property: Must Sell Quick! Motivated and need an offer! Must Sell Quick! Motivated and need an offer! Clean NW Area home with tons of upside. This property only needs very minor items on the rehab to get into top shape. The days on market are all very low with all comps inthe info packet under 2 months on market for sold comps! Rents are strong as well if an investor is looking for their next fix and hold investment. Don't forget to ask about how you can purchase this property for as little as $22k down by financing with Sherman Bridge Lending! 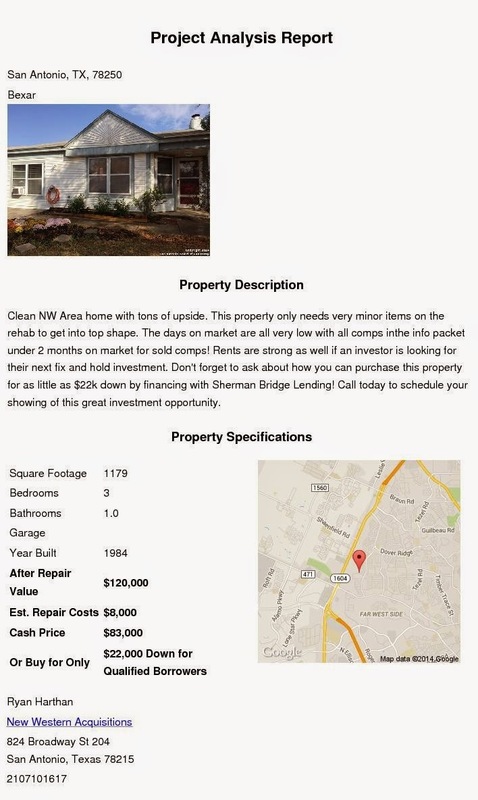 Call today to schedule your showing of this great investment opportunity.